ello and welcome to the very first issue of Living Wow. This new travel and lifestyle magazine, brought to you by the Azure Group and our partners, is all about inspiring you with holiday ideas overflowing with that wow factor. In our maiden voyage, we circumnavigate the globe in search of the most unique travel experiences. Rum tasting in Barbados. Truffle hunting in Tuscany. Fine dining in a genuine New York gold vault. Take your pick and try something entirely new in 2019. Elsewhere, you’ll discover Britain’s finest driving roads and Malta’s most beautiful secluded bays. We also have a chat with Johnny Aintablian who recently planned a magical proposal surprise for his partner on the Med. In Living Wow we celebrate our diverse community of people, who are all passionate about living life to its fullest. So make sure to get in touch with your stories and snaps, and have fun sharing your experiences on this exciting journey. who have experienced difficulties I apologise, it has been a necessary evil and things will get better. Not being a techie myself, I do share your pain! Nothing, however, has ever stopped us in our mission to enhance how the world plays. We will always champion the sharing of special moments with the special people in our lives. And in this fast moving, technical world, creating memories has never been so important. I sincerely hope you enjoy this issue of Living Wow. 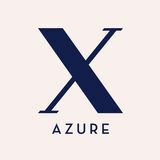 Perry Newton, AZURE X MD PS. As ever, please get in touch with your suggestions. After all, this is your magazine! And please, feel free to share your special moments with us, just like, Denise and Andy, Mark and Anne, Steven, Anneeka, Puja, Monica have on pg. 60 . It’s moments like these that keep us ticking. PROTOTYPE GOLDEN SANDS SUITE TO BE UNVEILED The Azure Group will soon be unveiling the much-anticipated new prototype Golden Sands suite. Managing Director Perry Newton said: “We can’t wait to give our members a private viewing of our new apartment suite on their next visit. We look forward to hearing their thoughts and collating everyone’s suggestions before agreeing on a final layout and design plan for the whole resort.” Further details to be announced soon. SANDS TOWER OPENS ITS DOORS The Golden Sands Resort & Spa recently welcomed its first guests to the new Sands Tower beachfront suites. These beautiful luxury suites feature contemporary dĂŠcor, state-of-theart facilities, high-ceilinged marble bathrooms, and spacious, fully-furnished terraces directly overlooking the blue-flag Golden Bay beach. LATEST NEWS FROM ACROSS OUR NETWORK NEW ASTON MARTIN ADDED TO AUTOXOTICA FLEET The AutoXotica supercar club has just added a new Aston Martin Vantage Coupé to their sizeable fleet. ‘This brand new Vantage with its gorgeous new lines, exquisite interiors, and radically updated cockpit, truly out-performs the older model in every way possible. We are beyond certain our club members and clients are going to love test-driving this British motoring masterpiece,’ Managing Director Kevin Burns commented. For more information on the new Vantage and the rest of the fleet visit www. axsupercars.co.uk. CORINTHIA LONDON FEATURED IN STARSTUDDED BBC DOCU Corinthia Hotel London recently starred in a new BBC documentary A Hotel for the Super Rich and Famous. Shot over the course of 12 months, the two-part programme follows the day-today running of the hotel, from unpacking tea sets to preparing the suites for VIP guests, who have included former US president Bill Clinton, pop superstar Beyoncé and Academy Award winning actor Cuba Gooding Jr.
CHAMPNEYS GROUP ACQUIRES MOTTRAM HALL IN CHESHIRE Champneys has acquired Mottram Hall in Cheshire, which joins a growing portfolio of luxury properties in the Champneys Group. The elegant countryside estate is home to 120 bedrooms, an innovative spa and championship golf club. Over the coming 12 months the group are planning a £10 million refurbishment, including a £5 million redesign of the hotel’s current spa facilities, to make Mottram Hall the number one spa destination in Cheshire. SHMEE150 VISITS AUTOXOTICA Popular automotive vlogger Tim Burton, more commonly known by his YouTube handle Shmee150, recently visited the AutoXotica supercar club based at Donington Park. On the day, Shmee was given a tour of the club and took part in a back-to-back showdown between four of AutoXotica’s finest supercars. On trial were the Ferrari 488 Spider, the McLaren 570S, the Lamborghini Huràcan Spyder, and finally the Porsche 911 GT3. Check out Shmee’s verdict on each of the cars and watch the full experience on his YouTube channel. BOUTIQUE CRUISES COMING TO AZURE X Azure X has partnered with the worldâ&#x20AC;&#x2122;s leader in boutique cruises eWaterways to offer their members more one-ofa-kind experiences. These smaller ship cruises offer greater luxury and more intimate voyages around the world. eWaterways boasts quality vessels for every cruise imaginable, offering uniquely authentic experiences on restored rice junkets, luxury hotel barges, epic expedition ships and charming river cruisers. The full list of cruising options available to Azure X members will be announced later this year. If you are planning to go on any of these dream travel experiences, then be sure to share your holiday snaps with us on social media using the hashtag #LivingWow. We may even feature you in our next issue. in tropical Thailand, there’s something here for holidaymakers of all kinds. And wherever you choose to travel, rest assured you’ll enjoy the most luxurious accommodation, stellar service and the finest cuisine in the world. So then, how many are you going to tick off the list this year? There’s glamping, and then there’s Champneys Shepherd’s Huts. Get as close as you can to nature without forgoing an ounce of comfort in these all new hideaways. Make yourself at home in the grounds of a welcoming Manor House with 160 acres of enchanting Forest Mere woodland and a tranquil lake. Wake up to a gaggle of geese waddling past your window. Enjoy Champneys’ signature healthy cuisine as well as their exquisite spa and fitness treatments. Then settle in for a lumber snug evening, plush double bed and decorative log burner included. SOJOURN IN A CASTELLO & TRUFFLE HUNT IN TUSCANY’S WINE COUNTRY For the ultimate gastronomic getaway, head to the world-famous Castello Del Nero in beguiling Tuscany, Italy. This converted 12thcentury castle estate in the heart of the Chianti wine region features modern suites with period features as well as a Michelin-star restaurant. Breathe in the stunning vineyard views, which you can also experience from the lofty heights of a hot-air balloon. And why not try something a tad unusual and set out on a guided truffle hunt with a local expert and his loyal dog. After this wander in the Tuscan countryside, you can reinvigorate your senses with some pampering at Castello Del Nero’s award-winning ESPA spa. DRIVE THE BEST BRITISH ROADS IN A STYLISH SUPERCAR Add a touch of James Bond glamour to your road trip holiday by taking a sensational supercar around the UK. Whether you’re driving an exuberant Porsche 911 GT3 or a headturning Lamborghini Huracán, Britain has many winding, scenic routes that will infinitely enhance your supercar experience. For miles of storybook English countryside, drive Wenlock Edge Circuit on the Welsh border. Test your skills on tights and straights along the Midlands Tick around Nottingham and Leicester. Hear the fanfare of your engine’s roar through the deeps of Cheddar Gorge or soar along the Lake District’s highest road, the heavenly Kirkstone Pass. The most dramatic and picture-perfect driving roads are yours for the taking. EXPLORE THE MEDITERRANEAN ON BOARD AN ICONIC SUNSEEKER Charter a fully-crewed Sunseeker motor yacht in Malta and explore the Mediterranean’s many delights. Spirited Sicily. Alluring Aeolian islands. The seductive slopes of the Amalfi Coast. Dive into la dolce vita of sleepy towns and fishing villages scattered around the coast. Feast your eyes on turquoise seas and stucco architecture awash in warm terracotta, honey and biscotti hues. Swim, snorkle and sunbathe between sea and sky with the glorious sun as your warm companion. Catch that perfect sun-kissed tan and sip on ice-cold Prosecco as you sail into the horizon. DIVE DOWN UNDER & SEE CASSOWARIES IN THE EARTH’S MOST ANCIENT RAINFOREST Unwind in the tropical setting of Australia’s Mantra Aqueous in Port Douglas. Visit the Great Barrier Reef and the Wet Tropics of Queensland, both UNESCO World Heritage Sites. Look for manta rays from beautiful white sandy beaches at Cape Tribulation and marvel at plant species’ millions of years old in the Daintree, the world’s oldest rainforest. Here you can discover endemic ringtail possums, tree kangaroos, spotted quolls, and buff-breasted paradise kingfishers. And maybe you’ll even be lucky enough to spot extraordinary 2-metre-high cassowaries. You might even find celeb cassowaries Big Bertha and Crinkle Cut. SWIM WITH TURTLES & SIP AUTHENTIC RUM IN BARBADOS Disconnect to reconnect at the Caribbeanâ&#x20AC;&#x2122;s oldest hotel, the Crane Resort in Barbados. Feast your eyes on the amazing sight of pink sands flanked by lush green vegetation and crystal clear aquamarine waters. The crescentshaped Carlisle Bay is the perfect spot to swim with tranquil turtles, a truly once in a lifetime experience. Snorkellers can also explore a shipwreck that is home to schools of tropical fish, including the distinctively striped Sergeant Major. And no trip to Barbados is complete without a rum tasting experience. Visit the islandâ&#x20AC;&#x2122;s legendary rum distilleries and learn the secrets behind the authentic taste of the Caribbean. A Caribbean style paradise, the Keys stretches 100 miles across the Gulf of Mexico where intense blue skies, aquamarine waters, golden sunshine and fluffy white sands are the order of the day. Florida Keys is a true tropical paradise offering a thrilling array of water activities such as fishing, boating, snorkelling and scuba diving. Creeks, coral and costumed spectacles are other lures along the way. In the evenings, head to Mallory Square to experience the offbeat spirit of the Keys at one of its nightly Sunset Celebrations. Enjoy a wonderful jamboree of entertainers, including fire-swallowers, acrobats and even tightrope-walking dogs giving impromptu performances. HIT IT OFF IN PHUKET WITH A SPOT OF THAI BOXING Find your inner warrior in Phuket while learning the ancient combat sport of Muay Thai. Part of Thailand’s cultural fabric, Thai boxing has gained tremendous worldwide popularity, with plenty of local dojos offering classes for all levels. For a truly luxurious vacation, retreat to a private Luna Villa, with an expansive living space and large wraparound private pool complete with waterfall. Abandon all worries in the Land of Smiles with scuba diving, jungle safaris, historic temple tours, shopping and a lively nightlife scene. EXPERIENCE DUBAI, THE CITY OF TOMORROW From the world’s largest shopping mall and tallest building to flying taxis and a Hyperloop train, Dubai is a city of innovation and record breakers. Make the luxury Dorra Bay apartments, located in the striking Dubai Marina, your base to experience the thrills that await around every corner. Spoil yourself with adventures, whether be riding the dunes on a desert safari, surfing the waves in some of the city’s many waterparks, or sliding down a huge indoor skiing slope. No matter if you’re a thrill seeker, shopaholic, sun worshipper or food fanatic, there is something for everyone in this city of tomorrow. Experience a weekend of great British luxury at Kentisbury Grange, a luxury boutique hotel nestled in the beautiful Devonshire countryside. This Grade II listed manor house has been beautifully restored and refurbished with lavish fabrics, antique artworks and handmade artisan furniture to pay homage to Kentisbury’s rich heritage. The on-site Coach House restaurant is run by Michelin-star chef Michael Caines and is a foodie’s paradise. Hire 007’s favourite supercar marque of choice Aston Martin, and make the most of your Devonshire stay. Enjoy sublime drives featuring rocky cliffs, idyllic beaches and the enchanting woodlands of Valley of the Rocks, Heddon Valley, Woody Bay and more. WINE & DINE IN A NEW YORK GOLD VAULT If you’re searching for a hidden New York gem that has the Midas touch. The Trinity Place Vault Bar is a mesmerising bar and restaurant housed inside an actual turn-of-the-century vault located underneath New York’s original twin towers – two Gothic-styled skyscrapers built on 115 Broadway. Once you walk through the golden, circules vault door, you’re welcomed into a warm cosy interior awash in rich mahogany and brass hues. Add a little Old World splendour to a romantic New York evening and indulge in exquisite cocktails and a truly mouth-watering menu. There’s also the Big Apple’s many other highlights to explore from The Metropolitan Museum of Art and Central Park to Grand Central Station. Ski or soak in the outdoor hot tub? That’s about the hardest decision you’ll make while staying at Banff Rocky Mountains Resort. Canada’s oldest national park is a great destination for hiking, biking, skiing and scenic drives. It’s also an animal-spotting nirvana. A herd of 31 bison was reintroduced in July 2018 after being missing for some 140 years, and can easily be seen grazing around the park. Plus with some luck, you may also glimpse bighorn sheep, goats, meadowloving birds, elk, grizzly bears and even wolves. Then, at the end of a packed day of exploration, you can return to the cosy creature comforts of the resort. CRUISE THE CONTINENT ALONG THE BLUE DANUBE Hop on board a charming river barge and sail the famous Danube river. Over eight epic days, you’ll experience six Continental cities across four countries – Hungary, Slovakia, Austria and Germany – with plenty of opportunities for city sightseeing. Enjoy Budapest’s sprawling panoramas from Buda Castle. Visit the Imperial Schlosshof Palace in Bratislava. Experience a classical concert in sophisticated Vienna. There’s also plenty to enjoy on board with cooking demonstrations, music performances, as well as the Captain’s exclusive Gala Dinner. GET THE ROYAL TREATMENT ON A BUDAPEST SPA BREAK Known by many as the City of Healing Waters, Budapest is a destination famed for its thermal baths and hot springs. And the Royal Spa located in the opulent Corinthia Budapest is arguably one of the best in the world. Originally opened in 1886, this spa has been carefully restored to its original Art Deco beauty. A team of dedicated experts is on hand to provide the luxurious body, face and massage treatments, including Thai and Ayurvedic massages. There’s plenty more to explore in this beautiful Bohemian city, from the Opera House and the Hungarian National Museum to riverside promenades, flea markets, trendy ruin bars and chic café houses. Experience true luxury in Sands Tower beachfront suites located on Malta’s Blue Flag Golden Bay. BBQ on your very own private terrace boasting uninterrupted views of the stunning horizon. Then head down for a late night swim under the stars, with the beach a footstep away. Inside your exclusive beachfront residence, you’ll enjoy luxurious furnishings and amenities. You also have access to the Golden Sands Spa & Resort’s many super-stellar facilities including Myoka Spa and a selection of acclaimed restaurants. BREAK THE ICE ON AN ANTARCTIC CRUISE Antarctica is a continent of natural wonders that few people dare voyage to. But for those willing to make the journey, this great expanse of magnificent icescapes never fails to fascinate. A boutique Antarctic expedition cruise, which provides greater luxury and a more intimate voyage, is without doubt the best way to experience all the marvels that this mystical land offers. Be awed by the soaring, snow-capped mountains and drifting, jagged icebergs that glitter like giant diamonds in the rough. Observe penguins and seals swimming and fooling about in their natural, unspoiled habitat. REDISCOVER YOURSELF. THE WORLD. EACH OTHER. Take a trip to any of Malta’s postcard-perfect fishing villages and you’ll immediately spot dozens of colourful boats bobbing peacefully in the waters. These traditional boats are known as the Maltese luzzu, and are as much of a national symbol as the Maltese Cross that adorns the island’s red and white flag. The luzzu, pronounced ‘loot-su’, is a traditional Maltese fishing boat. The build and design of these sturdy wooden boats is said to date back hundreds of years to Phoenician times. However the modern luzzu is larger than these original boats. This is largely because they no longer depend on oars or sails to move, but now run using motor engines. Also, the Maltese boat grew with the distance needed to travel to find a catch–nowadays, many Maltese fishermen must go far beyond local shores to fish. (plural) are more durable and stable even in bad weather. Their vibrant hues of yellow, blue, red and green create a striking contrast with the deep blue waters. The colours pay tribute to the land, sea, sun and green fields of the islands. Colour combinations and hues may differ from one luzzu to another. When sons inherit luzzijiet from their fathers, they paint them in the same colours because of superstitious beliefs. you’ll be hard pressed to find any fisherman who would dare not carve out the Eye of Osiris on their luzzu. Another distinctive feature is the band above the lower half of the boat, known as il-mustaċċ or moustache. Prior to the advent of boat registration, the colour of the ‘moustaches’ on the luzzu would indicate its home port. For example, red moustache meant the boat was from St Paul’s Bay, lemon from Msida or St Julian’s, and ochre yellow from the Marsaxlokk or Marsaskala area. harbour, fishermen tossing fish, yelling to each other and trading their catch, transports you back in time, offering an enchanting, unforgettable experience. And you can rest assured that local restaurants serve the freshest, finest selection of fish and seafood. WHERE TO FIND THE LUZZU The luzzu is a signature feature of most Maltese villages around the island. You’ll certainly see them when visiting the fishing ports and harbours and dotted around the Gozitan shores. Go find them in Marsaxlokk, Marsaskala, Birżebbuġa and Wied iż-Żurrieq. Though they are still used mainly as fishing boats by the locals, you can also find luzzijiet ferrying tourists around the Grand Harbour and other scenic sites. To photograph the Maltese fishing boat, steer your trip towards Marsaxlokk fishing village. The fishing port is full of the colourful Maltese boats, while Marsaxlokk’s famous daily market reaches huge proportions on a Sunday. The Marsaxlokk fish market is famous for being one of the most vivacious experiences of traditional Maltese culture. The seafront comes alive with market stalls selling an array of fresh Mediterranean seafood and local produce, such as honey. In addition, you’ll find all sorts of local handicrafts such as the intricate Gozitan bizzilla (lace), souvenirs and much more. In addition, Marsaxlokk boasts a seafront dotted with several restaurants serving freshly caught fish and other delicacies of Mediterranean cuisine. A number of local boat owners also organise daily trips on authentic luzzijiet. Aboard Malta’s most iconic boat, explore the nooks and crannies of the island’s rugged coast and the legacy of its rich history on the shore by sun-soaked seas. Alternatively, find a luzzu cruise that operates fishing trips and try deep sea fishing in Malta. HISTORICAL HENRI: LORD BYRON IN MALTA Those of you who I’ve had the pleasure of meeting at Golden Sands will know I have a great passion for Malta and its rich history. In this first issue of our new magazine, I am delighted to recount the story of Lord Byron’s sojourns in Malta during the early 19th century. The revered Romantic poet visited our islands several times on his travels to and from the East. Lord Byron arrived in Malta at noon on the 31st August 1809. He was accompanied by his friend John Hobhouse. The two lingered on board as they were expecting a welcome salvo from the batteries in the Harbour. Byron had sent the Governor notice of his arrival but no return message was forthcoming, so they made their way from the marina to the centre of Valletta making door-to-door enquiries to seek lodgings. Later they found a place to reside at the house of a well-to-do merchant by the name of Chabot where they met John Galt. In the evening, during dinner at Mr. Chabot’s house, Sir Alexander Ball attended and related anecdotes about Napoleon’s occupation. recommended Dr Moncrieff’s house at the top of Strada Forni (Old Bakery Street). This palazzo originally belonged to Bali de San Poix and in May 1804 it was let to Dr John Stoddart, the King’s and Admiralty Advocate, a close friend to Sir Alexander Ball. Fellow poet Samuel Taylor Coleridge had also stayed in this house when he was under-secretary to Sir Alexander Ball. The house was later leased to Dr William Moncrieff, a lawyer whose sister was married to Dr John Stoddart. William Moncrieff was in the habit of spending the hot summer months with his sister and brother-in-law at their country house in St Julian’s. So Byron and Hobhouse were happy to move in while it was vacant. librarian Abate Gioacchino Navarro, an eminent scholar. As the afternoons were hot, Byron went down to Marsamxett harbour to cool off where he swam, rowed and sailed to Pieta. His evenings were spent at the Teatru Manoel and dining with friends. Sir Alexander Ball invited Byron to lunch and he stayed on to dinner in the company of Lady Ball and friends. The celebrated beauty Marchesa Bettina Falson Dorrrell (D’Aurel) invited Byron and Hobhouse to her palace in Gudja. It is claimed that the Marchesa had had an affair with Napoleon during his short stay in Malta. Whilst here Byron found the time to fall in love with Constance Spencer Smith and was intrigued with her escape from imprisonment ordered directly by Napoleon. Byron’s infatuation was so commonly known, that Capt. Easter week is commemorated around many of Malta’s villages with festivals, costumed processions, passion plays, marches, and various other celebrations. World-famous classical musicians will be performing at this festival that includes solo recitals, chamber concerts and grand orchestral concerts. SCIENCE IN THE CITADEL 27 April – The Citadel, Gozo Staged in Gozo’s magnificent Citadel, this fun event for all the family will celebrate the best and wackiest innovations, research and experiments from the world of science and technology. VALLETTA FILM FESTIVAL 14 to 23 June – Valletta Over 40 feature films and 24 short films are screened annually at various indoor and outdoor venues around the capital. GHANAFEST 21 to 22 June – Argotti Gardens Floriana This annual music festival celebrates Maltese Għana, or folk song, and countless other traditional Mediterranean musical styles. L-IMNARJA 29 June – Buskett Gardens One of the oldest feasts celebrated in Malta and Gozo, this traditional harvest festival is celebrated with horse races, folk singing and local cuisine, especially Maltese rabbit stew. This jam-packed festival has become a staple of the local cultural calendar and typically features music performances, visual installations, plays, and dance by local and international acts at various venues in and around Valletta. VILLAGE FEASTS Traditional Maltese festas celebrate the village’s patron saint with extravagantly decorated churches, marching bands, colourful festooned streets and, of course, masterful firework displays. Festa season officially gathers steam towards June, with weekly feasts happening all around Malta and Gozo. THE SUPERCAR SURPRISE It’s not every day that you get the opportunity to hop into one of the world’s finest vehicles. That’s unless your local supercar club invites you over for a little supercar drive surprise. Based at the Donington Park race circuit, AutoXotica is on a mission: to make supercars easily accessible to people from all walks of life. The supercar club recently began reaching out to its East Midlands community to find individuals with a unique passion for beautiful cars and give them a big surprise. And it was Chris’s name that came up time and again. As the AutoXotica team was to learn, Chris is one of the biggest supercar fans out there. However, following an accident when he was 19 years old, he was left unable to drive. That never stopped his passion for all things automotive though. As well as having a near encyclopaedic knowledge of supercar facts and stats, Chris also regularly attends race days and car exhibitions around the UK. So when the AutoXotica team got in touch and invited Chris over to spend some quality time at the club, with a personal tour of the fleet included, he was only too happy to accept. In truth, there was more to the surprise than just a mere tour. Unbeknown to Chris, he would also be enjoying a ride-along in one of his all-time favourite supercars. With the invitation accepted, the next step for the AutoXotica team was to choose the perfect car for Chris, and as any selfrespecting petrolhead knows, that’s no mean feat. There’s a lot to consider: the marque, the model, the engine, the specs, the colour! Thankfully, the choice was surprisingly straightforward when the team found out they already had Chris’s dream supercar in the club’s fleet. precision engineering and Italian supercar appeal. The contagious smile on Chris’s face as the mystery supercar was unveiled really said it all. Fleet manager Aaron Girling took Chris our for a spin through the Derbyshire countryside, showcasing the Audi’s 0 to 60 in 3.5 seconds prowess. Chris even got behind the steering wheel to rev the V10 engine for himself and hear its signature roar. On the day, Chris was given the grand tour of the club and following a freshly brewed coffee in the member’s lounge, it was finally time to reveal the true purpose of his visit. But which amazing car would he be experiencing? Would it be the Lamborghini Huracan Spyder, the Nissan GT-R or perhaps the fastest in the fleet, the Aston Martin Vanquish? After the riveting supercar drive, it was time for some pictures with the rest of the fleet. As you do when you want to turn your social media trends and family green with envy. With a big smile still lingering on his face, Chris left the AutoXotica HQ at Donington Park with some fantastic memories. Now the search continues for more supercar moments to share with great individuals. Perhaps you fancy yourself the world’s biggest supercar connoisseur but have never had the opportunity to get behind the wheel of your dream car? Or do you know someone truly special who deserves the surprise of a lifetime? Get in touch with AutoXotica at fastinfo@axsupercars. co.uk and let them know your story. So you’re behind the wheel of a powerful, jaw-dropping supercar. Naturally, you want to get a proper feel for this sweet ride on the road. Red lights and speed cameras seem out to ruin the fun in the city or on the motorway – what you need is a good old country road. The best roads for the perfect supercar experience are those with long stretches, good curves and various ups and downs. Choosing a scenic route will ensure that driving your dream car will be a dream experience. Since we believe in keeping things simple and making life easy, we’ve selected our personal favourite scenic routes which are also ideal driving roads for supercars. Test your supercar skills. Push your pleasure pedal to the max. 1. THE PEAKS SIGHTSEEING Peak District Circuit (Hope, Edale & Castleton) 11.6 miles The Peaks are just 60 miles on the M1 from Donington Park where you’ve just picked up your supercar. From Hope, a circuit takes you via Edale and Castleton, with Mam Tor mountain, Blue John Cavern and Speedwell Cavern along the way. The dramatic drive offers spellbinding scenery. Castleton is a gorgeous Peak District village with several natural and historical features, including four large caverns. See Peveril Castle perched above Castleton village and an iron-age hill fort atop the ‘shivering mountain’ of Mam Tor. See the spectacular stalactites at Blue John Cavern and take an underground boat ride at Speedwell Cavern. Pause for refreshments at the Blue John Cavern while admiring fantastic views. Cruise along the Great Ridge, overlooking the valleys of Hope and Edale. 2. THE WEEKEND WANDERER Midlands Circuit 173 miles If you are after a tour that includes an overnight stay, the Midlands Circuit is a less direct route from Donington to Castleton and back, with a few interesting stops on the way. If all you want to do is drive, you can zip through this itinerary in a single day. The trip includes a variety of places of interest and activities. Powerboating, whitewater rafting and hiking might add to the zest of your trip. Underground exploration might add to the curiosities and a night in a stately home will definitely add luxury. So have lunch at Melton Mowbray, play afternoon golf and relax for the night at Stapleford Park. Seek adventure and water sports at Holme Pierrepont (via Eastwell) and drive freely through the Peak District (via Matlock and Bakewell), taking a hike, too, if you like. Add a visit to the mine at Peak Cavern and the ancient ghost town at its entrance. 3. THE DRIVING TEST The Midlands Tick 53 miles Now hereâ&#x20AC;&#x2122;s a great mix of long straights and tight corners to test your driving skills. The Midlands Tick driving route is an entertaining scenic drive that journeys around the outskirts of Nottingham and Leicester. This on-road odyssey is less about sightseeing and more about pure driving experience. Start at Bingham through to Langar and on to Harby, Eastwell, Landyke Lane and Scalford. Continue to Melton Mowbray and head south on the B6047 Dalby Road. Follow the road through Great Dalby, Thorpe Satchville, Twyford and Tilton on the Hill. Join the B664 towards Uppingham, passing through Sutton Bassett, Stockerston and Medbourne. 4. THE TOURING ROUTE Wenlock Edge Circuit 69 miles On the Welsh Border, in the Shropshire countryside near the Severn Valley, there are so many epic drives that itâ&#x20AC;&#x2122;s difficult to pick one that stands out. Expect farming country and open views with limestone outcrops towering over small fields and rivers & streams that wind through forests and around hills. This is really what a scenic drive should look like. Start from the market town of Shrewsbury and ease into classic English farm country on the A458 towards Much Wenlock. Take in jaw-dropping views of the limestone escarpment of Wenlock Edge and the hill range that runs for 15 miles towards Craven Arms. Past Wenlock Edge, go rock climbing, walk or ride the Shropshire Way or simply hit cruise control. Then head back to Shrewsbury on the A49 through Craven Arms. TIP: Catch the fantastic views of Wenlock Edge from the south of Harley, near Much Wenlock. 5. THE ROMANTIC GETAWAY The Cotswolds 92 miles Quaint villages scattered higgledy-piggledy in secluded valleys, lush woods with winding streams, and colourful lavender farms give the Cotswolds a poetic charm enough to make anyone fall in love. Whatâ&#x20AC;&#x2122;s more, this route includes twists and bends, fast straights with far-reaching views and forgotten back roads where thereâ&#x20AC;&#x2122;s only you. Since the Cotswolds are so beautiful that they should be seen, we criss-cross a little to make the most of it. From the gorgeous High Street of Chipping Campden, take the A44, a vertical road with hairpin bends. Head east to Moreton-in-Marsh for the Wellington Aviation Museum and drop into the Cotswold Cricket Museum at Stow-onthe-Wold, sure to bowl a sporty maiden over. Head west again towards the National Trust Snowshill Manor to see a private collection of extraordinary objects from around the world and relax in the tea garden. Spend the night at the Slaughters Manor House with its bleating lambs, gurgling waterfalls and Michelin-starred restaurant. The next day, park your car at Bourton-on-the-Water for the Cotswold Motoring Museum to admire much-loved British motors. Then take the road to Bibury, prettiest village in the Cotswolds, to enjoy views of 16 counties and the Black Mountains from the Broadway Tower; the A429 is also a good road to take. At Minchinhampton, enjoy the views of Minchinhampton Common and Rodborough Common. Finish off with the famous Sudeley Castle. 6. TAKE THE HIGH ROAD Kirkstone Pass (Lake District) 29 miles You can’t make a list of the UK’s best driving roads without mentioning the Lake District. Quite literally a heavenly drive for any supercar lover, the Kirkstone Pass is the highest road pass in the Lake District at 1,500 feet. It connects the two lakeshore locations of Windemere and Ullswater. Stay at the Victorian resort at Windermere and go canoeing or fishing at Ullswater. Take the A591 up from Windermere to the pass on the A592. Explore the stark and beautiful Lakeland Fells high above the treeline by driving any other random roads that take your fancy. There is not much to visit here but the scenery is enough to fill you up. Expect the occasional solitary tree, stone fence and grazing meadow. Socialise at The Kirkstone Pass Inn, a B&B and pub that serves top food. TIP: Go early in the morning in autumn to see ethereal pockets of morning mist rising from the glens. holiday options. Motorhomes combine the flexibility of camping with hotel-level comfort. So now you really can enjoy the best of both worlds. Wake up after a great night’s sleep, rested and ready to explore all nature has to offer just beyond your doorstep. And in case you need further convincing, here are 6 reasons why motorhome holidays are on the rise. 1. SO LONG, BORING ROAD JOURNEYS “Are we there yet?” “I need the toilet!” Remember these painful interruptions on the long, slow drive to your destination? With a motorhome, there’s plenty of space to entertain children along the way, whether that’s playing card games or eating freshly prepared snacks. Plus, toilet facilities are ever-available, getting rid of the need to break the journey – unless the view entices you to engage the handbrake that is. proceeding to your next location as soon as you close the door. 3. BACK TO NATURE A luxury motorhome allows you to venture off the beaten track and discover nature’s beauty up close. Whether you stop in an idyllic nature spot or unexpectedly stumble across a location of sheer beauty, you can avoid the crowds, turn off the engine and fully enjoy the moment. Think tweeting birds, tree leaves rustling in the breeze, flowers in bloom. You get the picture! 5. EMBRACE SPONTANEITY No one here is telling you where to go, when to go, what to do or how to do it. At a moment’s notice, hop into the driver’s seat and move on, nice and easy. No planning, no packing… define your route as you travel. Explore national parks by day and spend the night at campsites and holiday parks. Decide your next destination on the go or just drive aimlessly until you stumble upon the perfect spot to stop. Holiday as you did growing up. Lose the gadgets and immerse yourself in a game of cards or a board game. Go outdoors and get active while exploring the scenery by bicycle. Relish precious family time at a slower pace of life while experiencing new-generation luxury motorhomes, equipped with modernday home comforts. Featuring iconic design and branded appliances, high-end holiday homes give the wanderlust traveller all the comforts of a five-star hotel. Warm cosy beds. Shower facilities. TV and on-board power supply. That’s not to mention the copious storage space to neatly store all your biking and trekking equipment. very own beach haven and soak up the sun in true peace and quiet. Here are five of our favourite secluded bays around Malta and Gozo that await your discovery. Our only bit of advice, mumâ&#x20AC;&#x2122;s the word on these lesser known spots. IL-GEBEL TAL-HALFA Between the famous Ħondoq ir-Rummien bay in Gozo and the coast of Qala in the south-east of the island, a large rock sits solitarily on the edge of a pretty little cove with a pebble beach. Colloquially known by local boaters as ‘wara l-blata’ or ‘behind the rock’, il-Ġebla tal-Ħalfa and its pristine surroundings retain their sheltered charm when other beaches become very busy during the summer season. IL-QARRABA Majestic blue clay hills slope down towards this pretty, golden sand beach and aquamarine waters. The beach takes its name from the coastal headland that separates it from the Riviera bay in the north. Meanwhile, Ġnejna Bay lies south. Both these neighbouring beaches are popular and often packed with crowds. Reaching il-Qarraba requires a long, adventurous trek or boat trip. But this is one circuitous journey worth taking, as you’re practically guaranteed peace and quiet here. DWEJRA FUNGUS ROCK A boat trip to spectacular Dwejra only adds to its allure. As you near the deep seas of the bay you’ll be gifted with a magnificent view of the dramatic coast and the huge islet guarding the bay’s entrance. Fungus Rock, with its distinctive geological appeal, creates lovely reflections on the water and has become a popular diving site due to its stunning underwater scenery. FOMM IR-RIH Prominent cliffs dropping vertically for several metres into the deep sea below give way to a pebble beach. This area in the west of Malta is wonderful for snorkelling, kayaking and other water sports. Best of all, even during the sweltering dog days of summer, you’ll probably get the entire bay to yourself. WHAT TO WEAR ON A YACHT It can be tricky to decide what to wear on a yacht, especially if you have little boating experience. Our handy checklist should have you covered for a comfortable yet stylish voyage. Things To Pack: Bathing suits Shorts, t-shirts & sarongs Flip-flops or deck shoes (no stilettos or pointed shoes on board) 4. Cardigan, jacket or long-sleeved top for evenings 5. Polarized sunglasses 6. Sun cream with a good SPF 7. Sunhats & caps 8. Camera (in a waterproof bag) or a waterproof camera 9. Binoculars 10. Magazines & books to read 11. Toiletries including insect repellent & after-sun 12. Medication if needed (if you get seasick, you may want to discuss remedies with your pharmacist) 1. 2. 3. IL-HOFRIET In the south of Malta, not far from the fabled St Peter’s Pool in Delimara, lie two spectacular coves that never cease to astound. Likely formed by whirlpools during the ice age, Il-Ħofriet – meaning ‘the holes’ – features two perfectly round, large coves that are connected by a rocky arch. The smooth cliffs carved from white limestone and azure waters lend the place a truly magical air. A Proposal On The Horizon Marriage proposals deserve to be just like the movies. After all, your one in a million deserves a truly once-in-a-lifetime surprise. So when Johnny decided to pop the question to his beloved Ana, he wanted to set the perfect, most romantic scene. A luxury motor yacht, the Mediterranean Sea and a diamond ring glittering in the sun. No wonder the reply to that timeless four-word question was a resounding “Yes!” Johnny Aintablian and Ana Mihaela Focsa met a little over three-and-a-half years ago at the hospital where they both practise medicine. They shared a lot more in common than just their profession and hit it off almost immediately. But why would two Canadians get engaged on a yacht in Malta – a Mediterranean location they had no prior connection to, nor had ever visited? lines, so that she would know how to pack. She only found it was Malta after we landed at the airport. So there was already the whole surprise factor as to the destination of the vacation. Once in Malta, I told her I had booked a yachting activity for the next day, which was also a great surprise. And finally, proposing was the final surprise!”, Johnny recalled with a smile. MEET MISS MONEYPENNY Whether you’re planning a surprise marriage proposal of your own, or simply want a romantic Mediterranean getaway, Miss Moneypenny is an iconic Sunseeker that offers seductive luxury with a vibrant dash of fun. The proposal took place at Crystal Lagoon, a secluded cove on the small island of Comino. The couple spent an afternoon swimming and paddling around the bay in glass-bottom canoes. Then as the sun began to set, Johnny took Ana to the front of the boat and, backdropped by the stunning natural landscape, asked the girl of his dreams to marry him. “Luc and Lily, the captain and stewardess, were fantastic. They prepared a bottle of champagne for the occasion and their choice of music was excellent. It helped us create memories that we will cherish for a very long time. Being away on a trip, and especially on a beautiful Sunseeker boat, made the moment extra magical.”, Johnny concluded. As Johnny and Ana make plans for their upcoming wedding, we wish them both a lifetime of happiness. And, with Malta proving such a hit with the couple, who knows whether they’ll return to the islands for their honeymoon? We wouldn’t be surprised to welcome the pair back to the islands for their honeymoon. Raindrops on roses and whiskers on kittens. Clotted cream scones and the beauty of Britain. Boutique lodges fit for superstars and kings. Kentisbury Grange Country offers our favourite things. Let your imagination drift back. Back through the mists of time. Imagine you’re King Arthur, returning victorious from an epic battle. Or Lady Guinevere, needing a change of scenery from Tintagel. Where should a discerning, legendary pair go for some magical R & R? Easy, hop in a time machine, set coordinates for 2019 and the bay-studded coastline of North Devon, where a luxury waterfront lodge awaits. HEAVEN ON EARTH Handily, we can hike, drive or public transport it to a pukka English paradise without calling for a Tardis. Kentisbury Grange Country Park lies in an enchanting land of jagged coasts and storybook bays, synonymous with Drake and Raleigh, pirates, smugglers and seekers of heavenly holidays in the sun. Located near the River Taw in an ancient North Devon town granted charter in 930 AD by Alfred the Great’s grandson, King Aethelstan, Kentisbury Grange is set on acres of luscious rolling countryside at the edge of bewitching Exmoor National Park. is perfectly in tune with massaging out all our modern-day malaises. LIGHTNESS OF SPIRIT All lodges have twin apex roofs with a glorious glass skylight over the dining room and large Velux windows that allow the natural light to flood in. EYE TECH Set the perfect tone with mood-matching lighting in every room. Enjoy cosy nights in with built-in TVs in every room, including an inset rotating TV in the living room, plus high speed WiFi and iPod docking station. Free your inner celebrity chef in cutting-edge kitchens that Merlin would have approved, featuring composite worktops and Smeg appliances, microwaves, dishwashers, fridge/freezers and washing machines. MOONLIT MISCHIEF Open large bi-fold patio doors and pad barefoot on hand-sanded decking to your private outdoor hot tub. Feel the kiss of billions of bubbles. Raise a glass of bubbly under stars so close you could almost touch them. Ramp up the romance in your master bedroom with flat-screen TV, large en suite walk in shower and freestanding roll top bath. CONTEMPORARY CHIC Ok, so what? The location is paradise but you’ve seen Fawlty Towers. What are the digs like? Originally a 17th century gentleman’s residence, the landscaped Kentisbury Grange is of a standard English Heritage described as ‘rarely seen in North Devon’. With sweeping panoramic views and private hot tubs, multi award-winning Kentisbury Grange’s boutique lakeside lodges take that standard and elevate it several notches higher. GREAT BRITISH OUTDOORS A special natural spectacle is right on your doorstep. Exmoor National Park, once an English royal hunting preserve, offers 265 square miles of pure escapism. Just a pleasant 29 minute walk from your lodge takes you to Blackmoor Gate, the western gateway to Exmoor National Park. Perched 300 metres above sea level on the watershed between tributaries of the rivers Yeo and Heddon, Blackmoor Gate is a crossroads as old as the land itself; an ancient ridgeway following the former moorland ridge from the heights of Exmoor down to the sea at Mortehoe, with fabulous views of scree slopes, tumbling streams, open meadows and high rocky cliffs. WALKS IN BEAUTY Another amazing walk is through the moors and along the pebbled beach to Porlock Weir, where you can indulge in ocean-fresh oysters and ginger beer. For fans of epic, inspirational views (and novelist Lorne Doone) Doone Valley is a must-see. The walk wanders beside Badgworthy Water, meanders through meadows and wooded valleys up to the high moors. SUN, SEA, SAND & SHOPPING North Devon is a Holy Grail for beach lovers. In under 30 minutes, you can be strolling along Saunton Sands or the epic Woolacombe Bay. If retail therapy is also on your agenda, the delightful 19th century indoor Pannier Market in nearby Barnstaple offers a spree to satisfy even serial shoppers. Ok, granted, the gastro-theatre through the kitchen window of chefs at work is pretty mesmerising. And the bar menu with classic cocktails with a twist can be a mite distracting. But order even the humble six-course Taster Menu for £70pp, starring among others Beetroot Espuma, Exmoor Beef and Thai Green Ice Cream, and your palate will pay laser-like attention to every mouthful. EVEN TEAS Whether it’s an Arthur or a Guinevere you want to impress, saunter down to the restaurant for a holiday’s end sundowner – a traditional afternoon tea. The Coach House goes all out. A selection of finger sandwiches such as smoked salmon with black olive tapenade and beef brisket with horseradish. Home-made patisserie including lemon meringue pie and cherry chocolate mousse and, of course, those legendary scones with clotted cream, slathered in Tiptree strawberry or raspberry jam. As a final indulgent flourish, sign off with a glass of Michael Caines Blanc de Blancs Champagne or San Fermo Bellenda Prosecco. A stay at Kentisbury Grange lodges lasts a lifetime. If we could get word back to Camelot, the story would surely end happily ever after. 48hrs in Tuscany Famed Tuscany has seduced visitors for centuries with its breathtaking landscapes, rich cultural heritage and gastronomical delights. Integral to the regionâ&#x20AC;&#x2122;s charm is its postcard-perfect Chianti vineyards, where visitors can indulge in the finest gourmet wines, olives, cheeses and meats all year round. If youâ&#x20AC;&#x2122;re looking to sample a slice of the high-life in this central Italian region, this essential guide to a perfect luxury holiday in Tuscany is the perfect appetiser. 1. FEEL LIKE ROYALTY AT HOTEL CASTELLO DEL NERO A visit to one of Europeâ&#x20AC;&#x2122;s lushest regions deserves truly world-class accommodation. Castello del Nero is a magnificently converted 12th-century castle estate nestled among the sloping hills of the Chianti wine region, just 30 minutes from Florence. Wake up in a frescoed suite, breathe in the fresh air as you take in the panoramic views and enjoy a sumptuous breakfast in the verdant gardens. The exquisitely restored 900-year-old property is one of the Leading Hotels of the World and features individually designed suites with modern comforts and period features. SAVOUR THE FLAVOURS OF A MICHELIN-STAR RESTAURANT Tantalise your taste buds with the rich flavours of the region’s freshest seasonal harvest. Indulge in gourmet Italian dishes at Castello del Nero’s Michelin star La Torre Restaurant headed by executive chef Giovanni Luca Di Pirro. Chianti is olive grove and wine country and you can expect only the most delicious fresh ingredients befitting the reputation of Italian cuisine. And if you wish to take your Tuscan cuisine experience one step further, you can even book a cooking class with Di Pirro himself, where you’ll try your hand at making your own fresh pasta, ravioli and tagliatelle. INDULGE IN THE CHIANTI WINE COUNTRY Lose yourself in 300 hectares of some of the world’s most famous vineyards. Indulge in the unique flavours of a variety of Chianti wines, whether during wine-tasting sessions or simply while wining and dining. The hotel even houses its very own enviable wine cellar filled with Tuscan wine gems and offer special tasting sessions guided by local wine experts. After a session here, you’ll be glad your hotel suite is a short, stumble away. EXPERIENCE A MEDIEVAL MASTERPIECE A short 30 minutes away from Castello Del Nero lies Siena, a medieval town famed for its distinctive red brick buildings that look like they have been plucked out of a fairy tale. As well as its iconic church and the Gothic town hall, the town is lined with gourmet shops, bakeries, fashion boutiques and cosy trattorias. Local specialties include pici, a thick, hand-rolled pasta, and spiced panforte fruit cake. ‘CANCER HAS MADE ME WANT TO TRAVEL MORE’ Dee Marquette-Slight and Graham Slight have been Azure members for almost 13 years. In the first of our Meet Our Members series, Dee explains why she scattered her father’s ashes in Malta, and how being diagnosed with incurable cancer hasn’t stopped her from travelling the world. we’ve got our eye on the motorhomes and for the last three years we’ve been out on the Sunseeker cruises. We like to share our experiences with our family. Last year, we brought my brother and sister-in-law out on a yacht. This year, we choose a larger yacht and we invited my aunt, who is nearly 80. She just thought it was unbelievable. We picked her up from Bugibba jetty and we were quite a spectacle. We felt like movie stars almost. People were taking photographs of us. It’s a beautiful, luxurious experience. Next year, we’re already planning something bigger with the yachts – a trip to Sicily. We try to instil our love of travel to our family. We tell our nieces, nephews and Graham’s children to see the world! It’s so important to experience it for yourself; the architecture, the culture, the fact that there are wonderful people everywhere. That’s what we intend to do: just have as much time seeing the world as we possibly can. If married life is even a fraction as fun as her hen party, Anneeka is in for a happy one. Her friend Puja organised the party on board an Azure Ultra yacht, where they sipped champagne and soaked up the sun back in October. After a day described as “amazing”, the party continued in Malta with visits to Popeye Village and the Roman Baths in Sliema. If he’s still making you laugh after 20 years, we think it’s safe to renew your wedding vows. Azure members Mark and Anne McCullough chose Golden Sands to reaffirm their love in November. They’ve been visiting the resort for 10 years and one of their three children celebrated their honeymoon at the resort. “We’ve become great friends with some of the staff here, so they were among the group of six friends who celebrated with us,” says Mark. QUADRUPLE TROUBLE One of the best things about membership? Being able to share it with your family and friends. Here is Azure member Richard Roberts, from Royal Tunbridge Wells, with FOUR generations of his family on the patio of the new Sands Tower suites in Golden Sands. “Every time we come to Malta, it’s like being on a family reunion,” he says. Brendan and Edwina travelled from Ireland to Malta for a holiday, or so Edwina thought. Instead, Brendan had organised an elaborate proposal plan on board an Azure Ultra Sunseeker yacht. Ironically, the yacht the couple had chartered is named ‘Don’t Ask’. But he did, and she said yes. “It was a beautiful day we will never forget,” 61 says Edwina.